The strange story of YouTuber Marina Joyce just gets stranger and stranger. 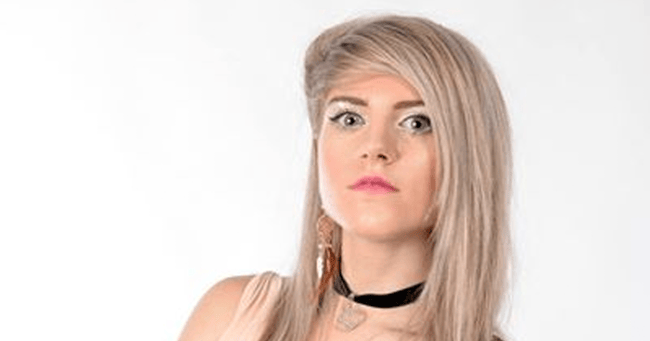 Last month, fans started to worry about British fashion vlogger Marina Joyce . The 19-year-old just didn’t seem like her usual upbeat self. The videos she was posting were filled with vacant-eyed stares, long awkward silences and none of Joyce’s signature humour. Fans started to notice things. Like a gun in the background of one of Joyce’s makeup tutorial videos. In the video below the teen has bruises covering her arms and according to some, seems to whisper “Help me” to the camera. Four days later the internet conspiracy theories began. Everything from drug addiction to a kidnapping plot by ISIS were offered up as explanation for Joyce’s strange behaviour. #SaveMarinaJoyce became the number one trending on Twitter worldwide. Joyce insisted there was no need to worry about her. But fans were so worried they called the police to check on her. 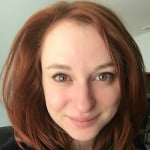 In an interview with fellow vlogger Philip DeFranco, Joyce explained that any perceived personality changes were due to her being on a spiritual quest. But Marina Joyce is not fine. She is not being kidnapped by ISIS either. Marina Joyce is either performing the most intense and in-depth scheme to gain more YouTube followers or she is dealing with a very real mental health issue. On Sunday, Joyce posted a long and confusing post on her Facebook page calling on her 938,000 fans to start referring to her as “Marina, the Goddess of Love”, and help her build a temple in Peru. So far, 42,000 people have commented on the rambling, nonsensical post. Some fans are actually pledging to help her raise money for her temple while others are accusing her of being an attention seeker who is deliberately acting crazy to drive up her popularity. Thankfully the comments are also filled with people who are legitimately concerned for the teenagers mental health. There’s no way for any of us to really know what’s going on with Marina Joyce. But, if she is in need of help, here’s hoping she gets what she needs.